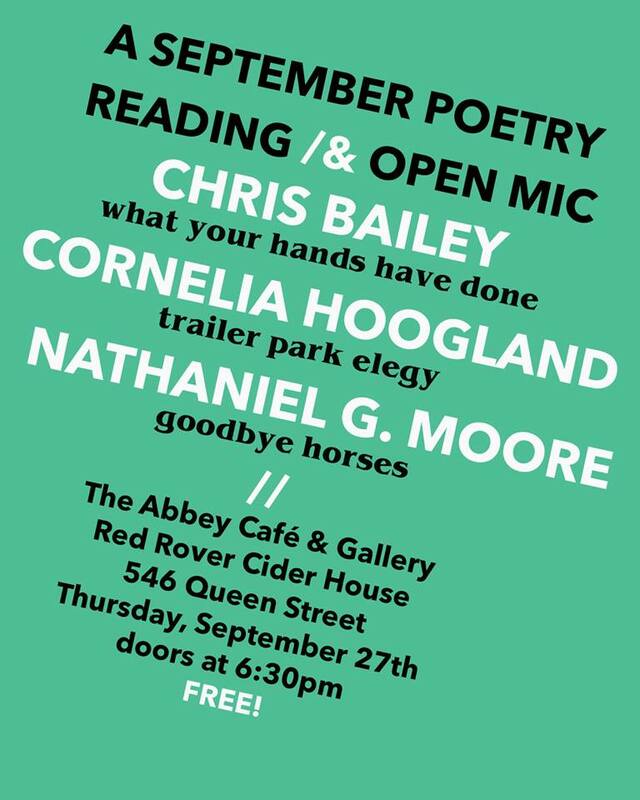 On Thursday, September 27, there will be several poets from out of town reading and an open mic at The Abbey Café and Gallery! 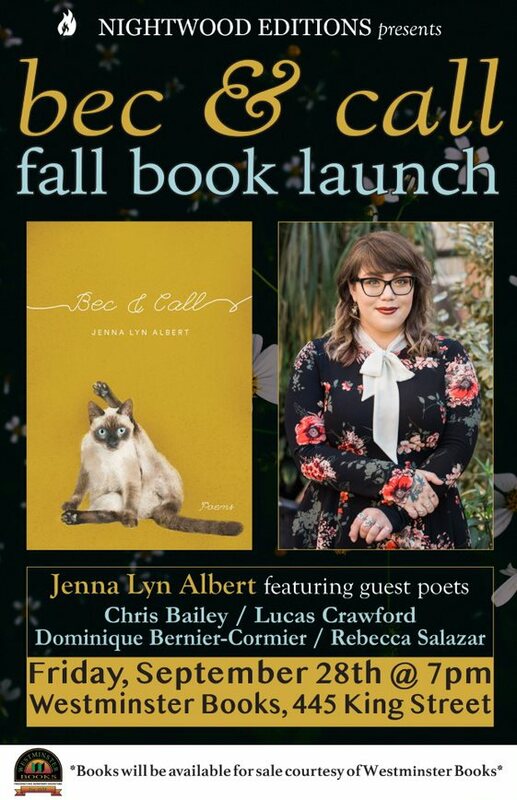 On Friday, September 28, Nightwood Editions presents the book launch for UNB Fredericton alumna Jenna Lyn Albert's debut collection of poetry, Bec & Call, at Westminster Books at 7pm. 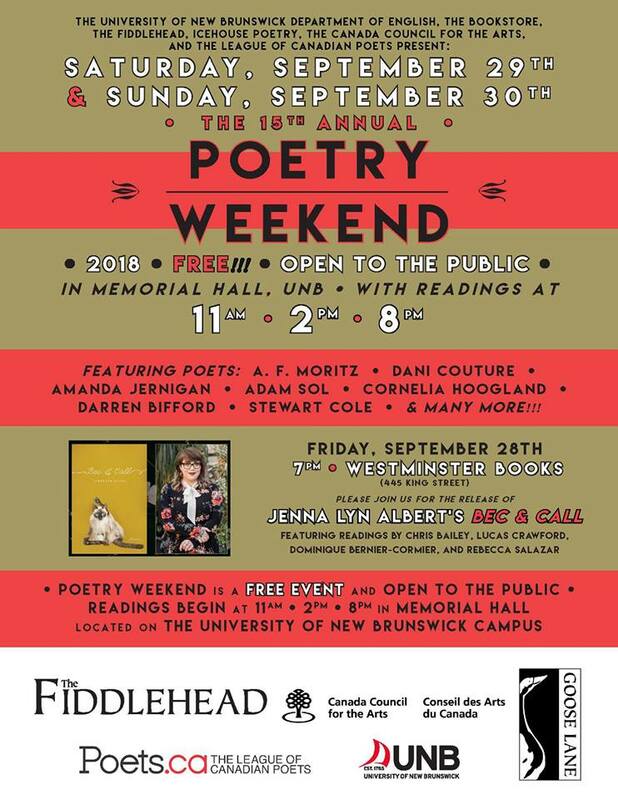 Please join us for readings by Jenna Lyn Albert and guest poets Chris Bailey, Lucas Crawford, Rebecca Salazar, and Dominique Bernier-Cormier. This event is free and open to the public; books will be available for sale. 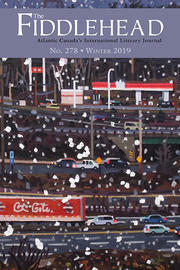 And then the 15th annual Poetry Weekend, which will see approxiamtely 60 poets reading over the weekend.